Cash-strapped Kumho Asiana Group on Monday submitted a new package of self-rescue measures, including the sale of its flagship airline unit, in a desperate move to get additional financial help from its creditors. Kumho Asiana’s creditors, led by the state-run Korea Development Bank (KDB), will hold a meeting to review the group’s revised self-help plans, the KDB said in a statement. Over the weekend, Kumho Asiana and its nine creditors held talks to fine tune the restructuring measures to address the group’s worsening financial status and help it eventually get back on track. “The group said it will immediately start the process of selling Asiana Airlines. It also provided an additional 4.8-percent stake in Kumho Business to the creditors as collateral for new loans,” a KDB spokesman said. Currently, creditors hold a 42.7-percent stake in Kumho Business, an express bus operator, as collateral for the loans that have been extended to the group, along with a 42.7-percent stake in Kumho Tire Co. In the revised restructuring plans, the group also said it will scale down the airline’s fleet, suspend non-profitable routes and improve employees’ productivity, but strongly urged the creditors to extend a fresh loan worth 500 billion won. Shares in Asiana Airlines soared the daily permissible limit of 30 percent, to 7,280 won (US$6.40), as of 2:05 p.m., while the broader KOSPI edged up 0.47 percent. Kumho Industrial Co., the largest shareholder, owns a 33.47-percent stake, valued at some 380 billion won, in Asiana Airlines. If the management premium is taken into account, the acquisition price for the airline will go higher. Asiana Airlines said it currently owes financial institutions 3.2 trillion won ($2.8 billion) in total, and it has to repay over 1 trillion won worth of debts maturing this year. 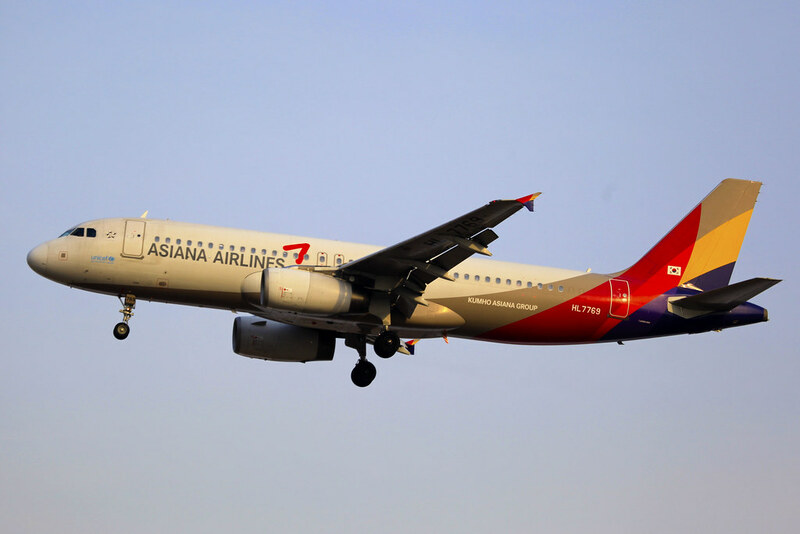 Analysts said the sale of Asiana Airlines will help improve the group’s financial health as the proceeds can be used to pay back the group’s overall debt and cover financial costs, which reached over 160 billion won last year. “In addition to the sale of Asiana Airlines, a possible rights issue and other restructuring measures will help reduce financial costs,” KB Securities Co. analyst Kang Seong-jin said. Last week, Kumho Asiana asked the KDB to provide an additional financial assistance and pledged to sell off Asiana Airlines if it fails to meet creditors’ demands in three years. But creditors and the Financial Services Commission (FSC), the country’s financial regulator, balked at the proposal, which they said is insufficient to regain market trust. On Thursday, FSC Chairman Choi Jong-ku called on airline-to-petrochemical conglomerate’s founding family to show sincerity in its appeal to revive flagship Asiana Airlines. Creditors urged the group’s founding family to sell their personal assets and submit a plan to raise funds through a rights issue. Kumho Asiana Chairman Park Sam-koo stepped down last month as chief executive of Asiana Airlines after the company widened its losses by amending its financial reports. Choi and creditors have also voiced opposition to the Park family’s plan to keep its control over Asiana Airlines. Last year, the KDB and Asiana Airlines signed a deal that required the carrier to secure liquidity through sales of noncore assets and the issuance of convertible and perpetual bonds. In 2018, Asiana Airlines swung to a net loss of 10.4 billion won from the previous year’s 248 billion-won net profit due to currency-related losses and increased jet fuel costs.